Here is a picture of the Senator of South, Jean Marie Salomon. 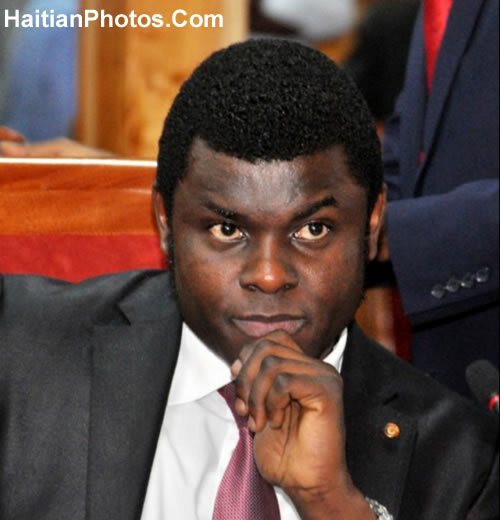 In 2011, Jean-Marie Salomon (born April 17, 1977), the young lawyer became the youngest Government Commissioner appointed to the Court of First Instance of Les Cayes. 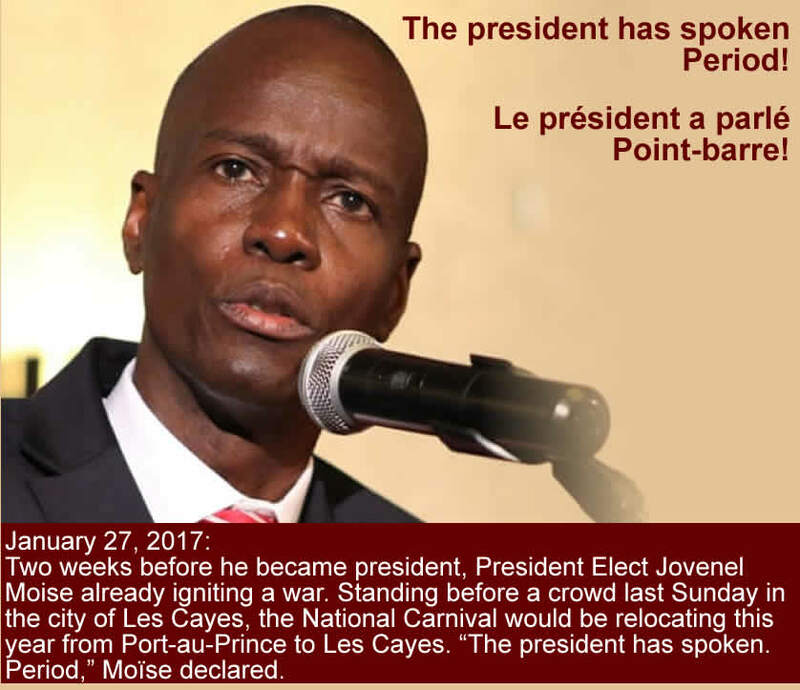 On September 8, 2014, he came to the limelight by arresting Mr. Evintz Daniel, a friend of President Martelly. Salomon recovered a large quantity of marijuana aboard his yacht floating on the sea. However, the next day, his superior, the Minister of Justice, Jean Renel Sanon was informed that Jean Marie Solomon Junior has been relieved of his function and suspended for abuse of power. Salomon could not accept that undeniable injustice; he resigned and left the country. He came back a few months later, took part in the Parliamentary election in 2015 and became an elected Senator from the South. 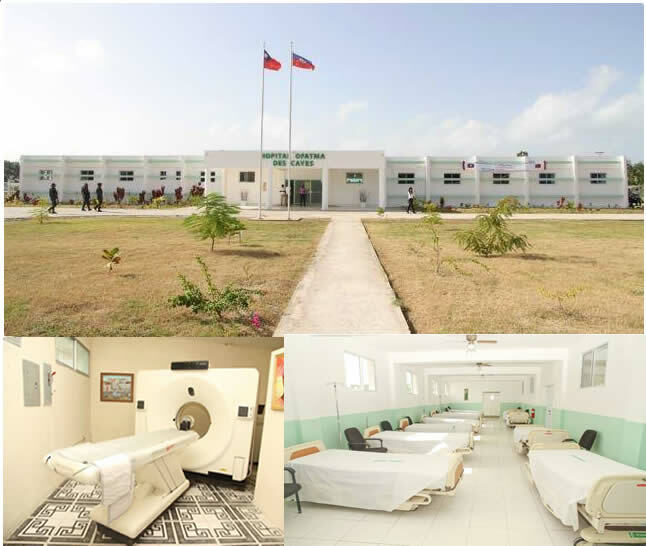 After the devastating earthquake of 2010, the reconstruction of the Maternity Hospital Immaculate Conception of Les Cayes started with the laying of foundation stone on September 12, 2011. The reconstruction project received a funding of 15 million Gourdes from the government and its partners in MSPP (National Department of Public Health and Population) under American support program of Presidential Emergency Plan for Aids Relief. It was decided that a temporary hanger would be converted to accommodate patients. Dr. Marie Josette Calixte did welcome the reconstruction initiative and stressed the importance to improve the future quality of service offered. 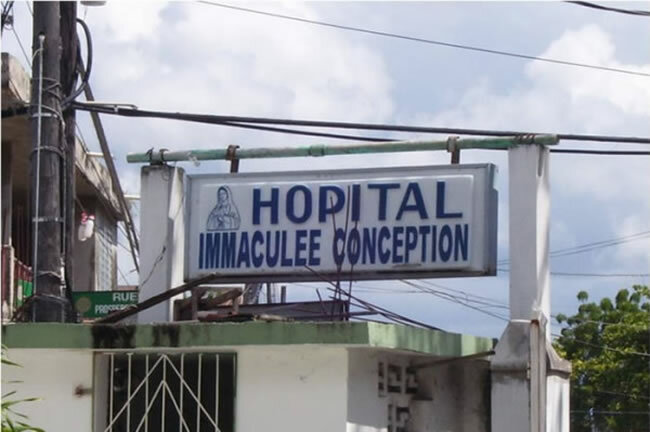 In spite of insufficient fund and limited facilities, the four departments of the hospital, viz., maternity, pediatric, surgery and emergency had always remained busy. However, the service of the hospital never remained free from criticism, like, Medicines were sold at black market price, medical cares were mostly provided by student-trainees, and many others. However, the patronage of the Cuban government through own doctors and funding were well accepted. 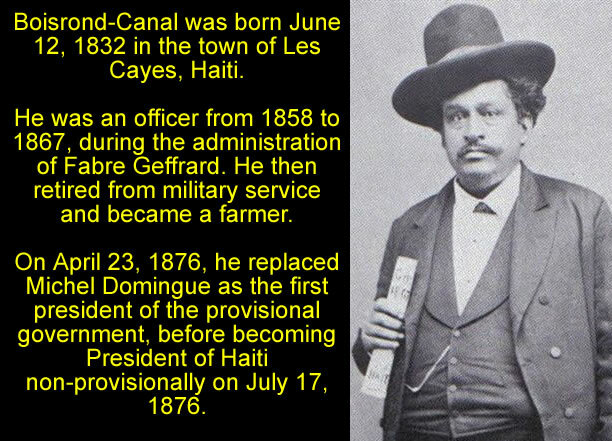 Here is a picture of Pierre Théoma Boisrond-Canal who served as the President of Haiti three times. Boisrond-Canal was born in 1932 and went into military service from 1858 until 9 years later when he retired to take up farming. Three years later, he would become embroiled in politics and rose quickly to be senator of Port-au-Prince twice. Like many political figures, he was exiled for a period, in Jamaica, but was made, upon his return, army commander of the Ouest Department by President Domingue. The first of Boisrond-Canal's three presidencies began in 1876 when he replaced Domingue as provisional leader before presiding non-provisionally as of July 17 that year. During his first run, he reinstated the 1867 constitution, which Domingue had replaced in 1874. His inability to successfully mediate the National and Liberal parties compelled him to resign in 1879. His replacement, President Lysius Salomon would himself resign in 1888, and Boisrond-Canal was once again president, this time in an acting capacity. His last run as president was in 1902 when he was appointed interim president. This post lasted from May 26 to December 17, when he was succeeded by Pierre Nord Alexis. The future of Haiti relies among Haitians and once the Haitian government is able to provide a stable environment, Haitian businesses will take off for good. An example of that is with the young Haitian investor Josué Bazile who sees an opportunity in the city of Pestel where transportation has been a problem for the residents for a long time. He has decided to bring a solution to the problem. 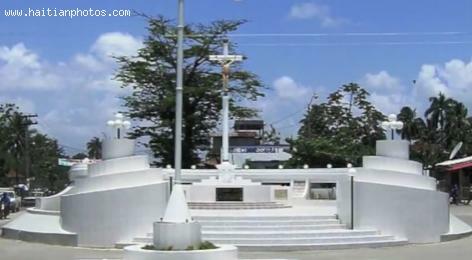 Grand Anse Pestel citizens lack affordable and regular transit service to Les Cayes and Jeremie. 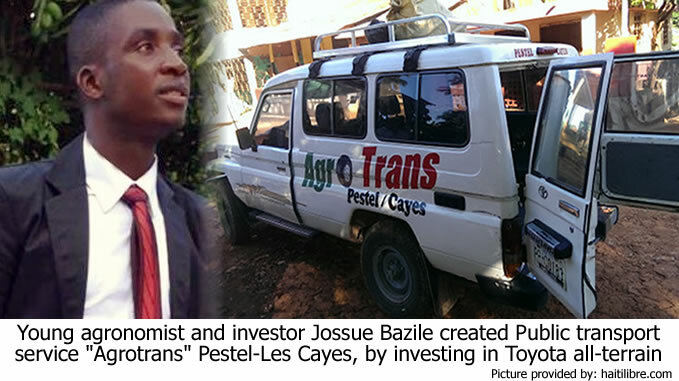 Pestel native Josue Bazile began Agrotrans, a daily service, providing transit in a Toyota all-terrain vehicle. Bazile was not funded by the government, and says people should not expect government help; instead they should take the initiative themselves to find workable solutions. The transit vehicle will do double duty as an ambulance when emergencies arise, since Pestel has no such emergency service. SOS Children's Villages (SOSCV) will launch its newest children's village in Les Cayes in January 2015. COO Hanne Rasmussen says the new village emphasizes SOSCV's ". . . commitment to providing vulnerable children with a loving home"
SOSCV Les Cayes has been made possible by donations from its member organizations in northern Europe and the USA. SOSCV invests in education, community and vocational training centers, as well as its other villages in Port-au-Prince and Cap-Haitien. 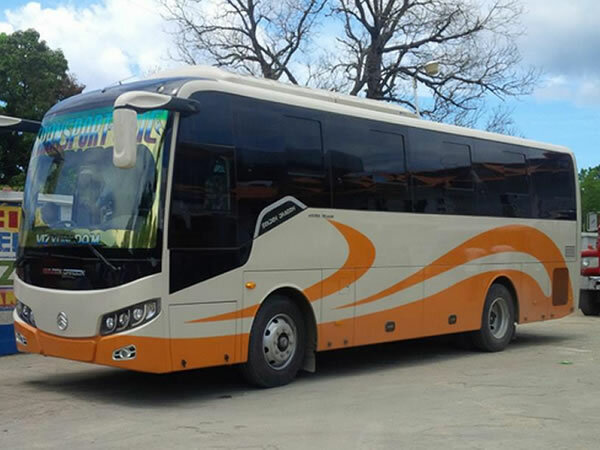 Established in 2003 Capital Coach Line (CCL) proudly operates daily service between Port-au-Prince and Santo Domingo. The coach carries almost 60,000 passengers per year on routine schedules. Capital Coach Line offers other services such as cargo service at budget-friendly rates with either same or next-day package drop-offs. Truck cargo service handles weightier and larger shipments. Capital Coach Line charter services cater to businesses, conventions, school field trips, and other organizations with comparable low rates. Mini-bus company, Transport Chic, takes passengers from Port-au-Prince to Les Cayes in 3 to 3.5 hours when traffic is light; if heavy 5.5 hours. Tickets cost $10 USD for a one-way trip. The bus schedule is flexible, leaving Port-au-Prince at 7 am, 9 am, 12:30 pm, and 3 pm. But the bus must have a full passenger load to leave. Les Cayes departure times can be found out by calling the bus terminal. Aux Cayes, better known as Les Cayes, is a town situated on the southern coast of Haiti's Tiburon Peninsula. The town has survived plagues, pirate invasions, fires, and hurricanes. Its most noted event was when Simon Bolivar used the port as a strategic spot to receive weaponry and infantry units to fight the Spanish and liberate South America. Les Cayes contains a teeming port that exports sugar, coffee beans, bananas, cotton, lumber, and animal hides.